Again, with his father's help, Bob-san flips the fish over. Those tuna fish can be really heavy; I reckon this one is easily 50+ kg. 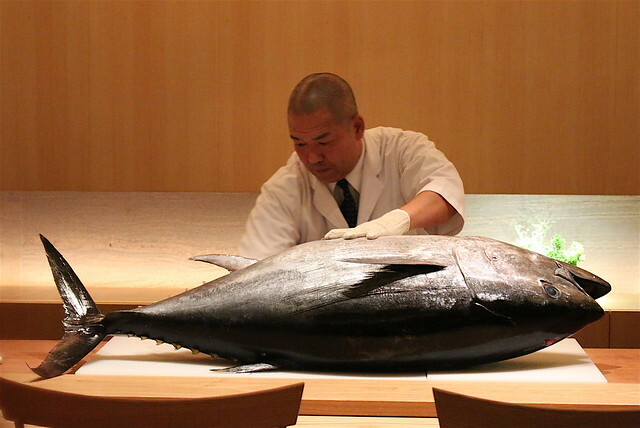 The tuna's flesh is unlike other fish. It's formed in quadrants because the spine is shaped like a cross down the body. It takes incredible skill and know-how to fillet this neatly. I still remember my first experience watching this process. Bob-san worked very fast. 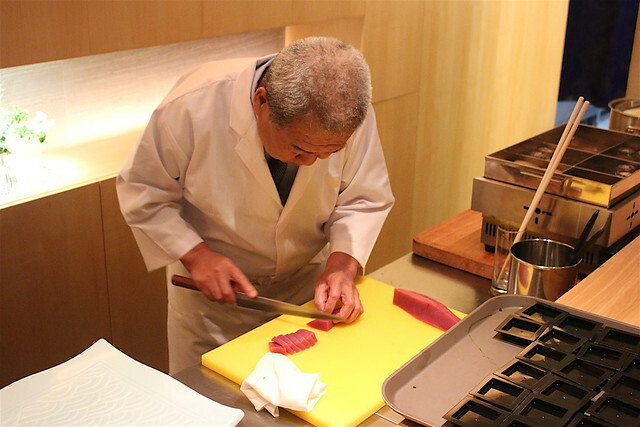 The elder chef Noshioka slicing the tuna into bite-size portions. He brushes each one lovingly with a light coat of sauce. Oh the otoro...yes, they were buttery and melt-in-the-mouth. With such premium offerings, the Singapore outlet is definitely more upmarket than the Japan store. 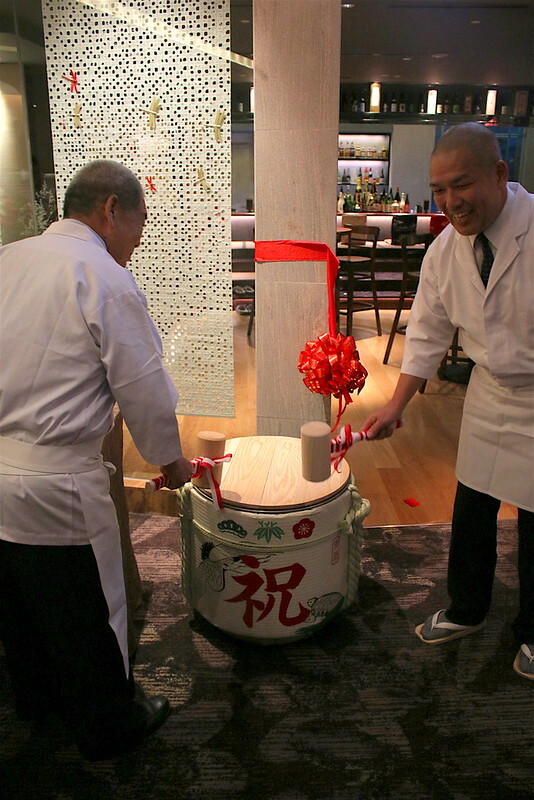 In Tokyo, the original Ginza Yoshihiro specialises in oden, and is also known for ten-don (tempura donburi). 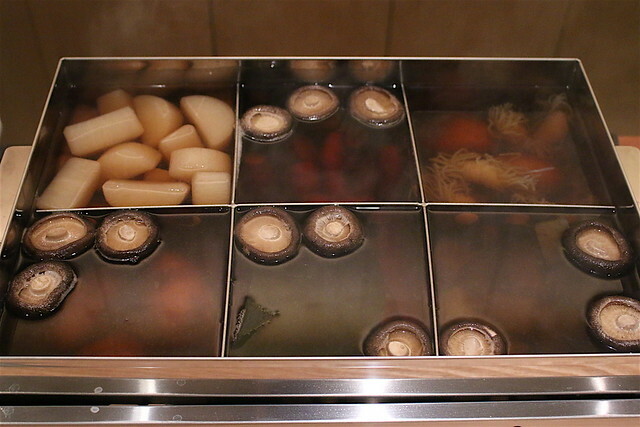 Oden is particularly popular in winter, and it's easy to see why. The warm broth is just what the body needs in cold weather! You can get a taste of the oden here too. 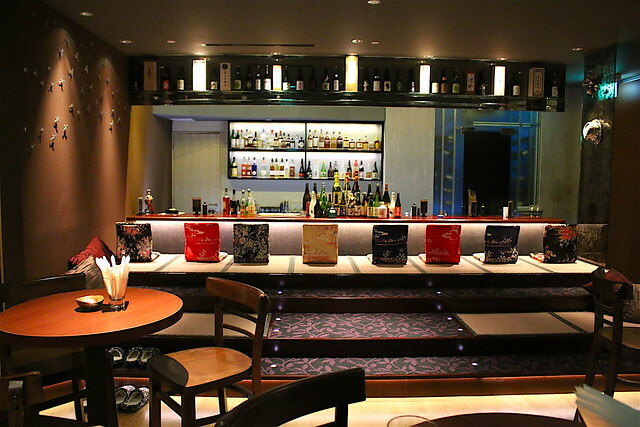 The first thing you see when you walk in is the sake bar. It is so pretty. I love the silk-covered chairs at the bar (there's a sunken area for your legs, so you don't need to kneel. 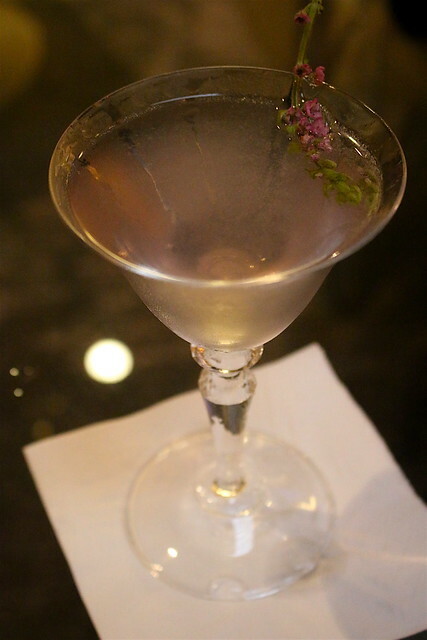 It's lovely to sit here and watch the bartenders work their magic. They aim to have this place as a laid back haven, ideal for office folks to relax in after a hard day's toil. 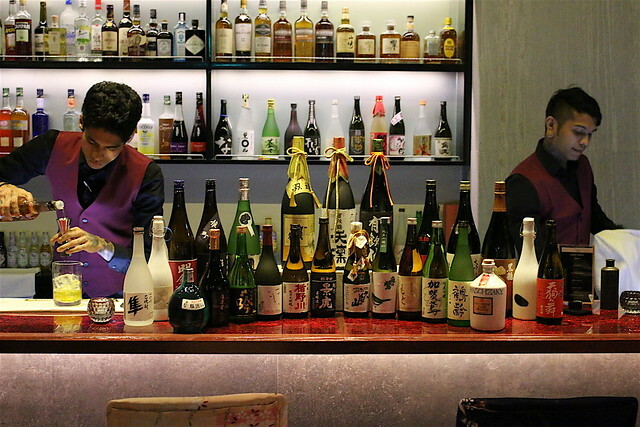 They bring in about 40 labels of sake, including 10 of the cult favourite Juyondai (十四代 meaning "14th Generation") from Yamagata prefecture. There's shochu and whisky as well. Here's the Geisha-tini I tried - really refreshing cold sake with hints of vanilla, melon and yuzu. It is so easy to drink, you don't realise how strong it is. My ears were burning halfway through, but then again, my tolerance is deplorable; I get a hangover with just one drink. Yeah. Seven out of 10 cocktails here feature sake. They tend have fruit bases or spice highlights. Prices are kept at about $15-16. As for the food, it's a small but focused menu. There are bara chirashi, anago and maguro don (rice bowl) sets with miso soup and dessert from S$32-42. There's also Oden Gozen set (S$38), Yakizakana Gozen (S$45), Tempura Gozen (S$45), Wagyu Sukiyaki Gozen (S$68) and Sushi Gozen (S$88) for 10 pieces nigiri, appetisers, chawanmushi and dessert. Three omakase menus are also available: the Oden Gozen (S$128) with assorted appetiser, 10 pieces seasonal nigiri sushi, temaki sushi, signature oden, dessert; the Botan (S$188) with assorted appetiser, 5 kinds of sashimi, signature oden, wagyu shabu, yakimono, 3 pieces seasonal nigiri sushi, temaki sushi, dessert. 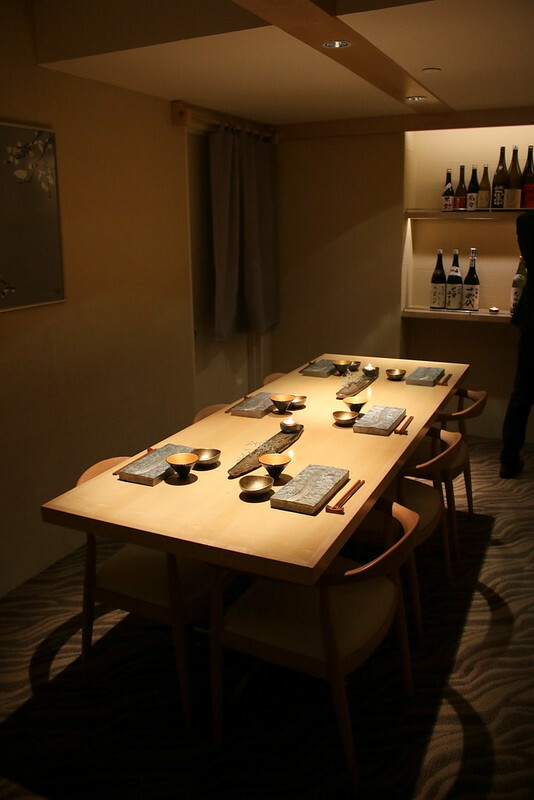 We had a small and cosy tasting of the Kikyou omakase menu (S$158) in the private room. The menu began with some very interesting assorted appetisers. 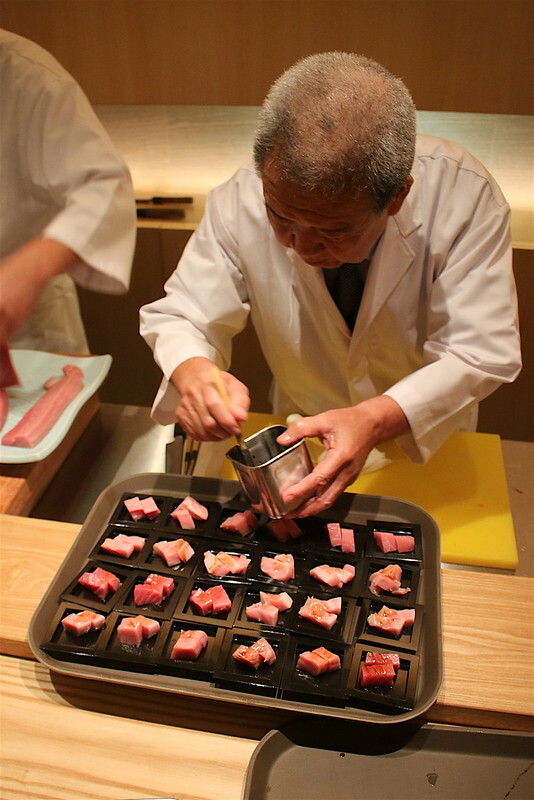 - Ika shiokara: chef said something to the effect of squid liver, but I knew these were salted squid guts. Definitely an acquired taste! 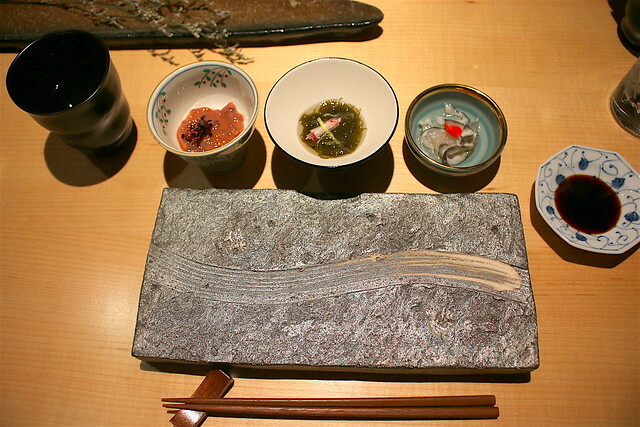 - Mozuku: this seaweed is normally found in Okinawa; I fell in love with it when I visited. Every day I would have a bowl of it along with breakfast when I was there. This little plate is a lot more tangy and intense than I've had previously. - Pickled salmon head: whoa! I thought this was cool - the thin slices of what looks like bone and translucent gelatin is chewy and crunchy like cartilage, but clearly softened by pickling. Apparently it has lots of collagen, so eat up! I'm sure these will vary from time to time though. Then came 5 kinds of sashimi - king snapper (himedai? 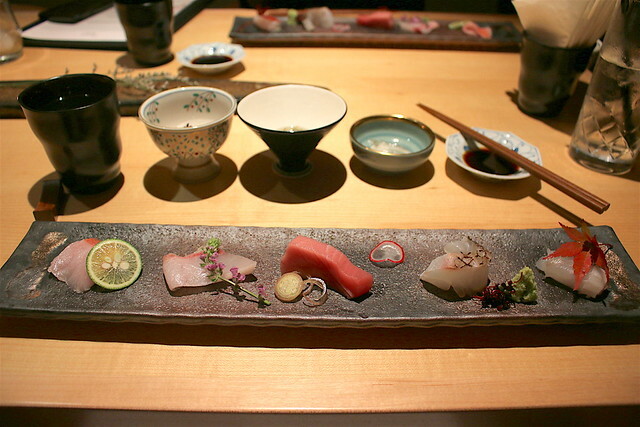 ), amberjack (hamachi), medium fatty tuna (chutoro), Japanese snapper (tai) and flounder (hirame). Each had a different texture and bite, but all were fresh. Gotta love the freshly grated wasabi. 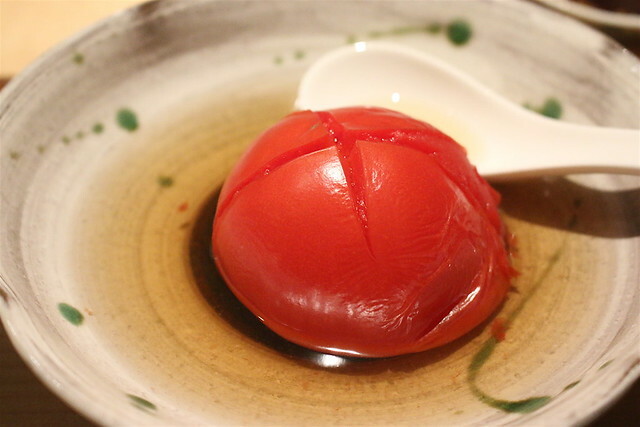 The Signature Oden was a momotaro tomato. Stewed in a lightly smoky broth, the juicy flesh was easy to pry apart and eat. Apparently this is a highlight at the Tokyo outlet, and one of the first oden items to appear here. 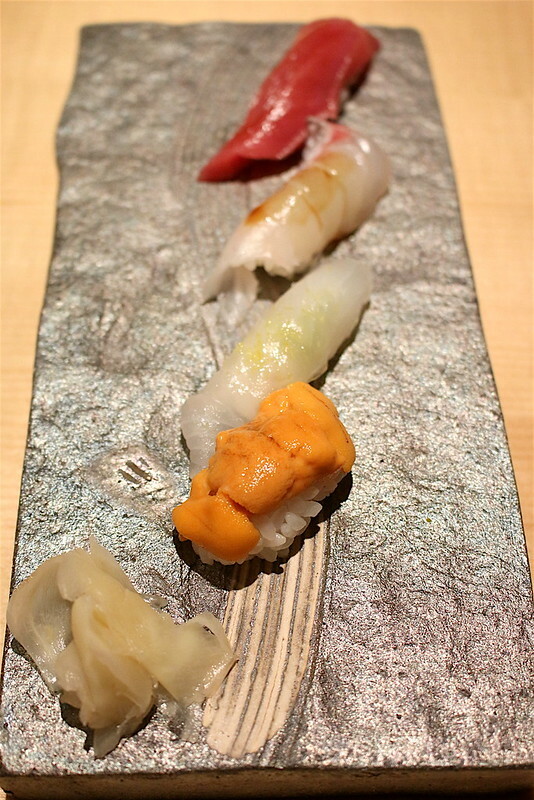 The chef substituted the Kurobuta Shabu with 4 pieces of nigiri sushi - uni, hirame, tai, chutoro. Well, the sushi is good, with the generous neta (topping) wrapping the tiny mound of well-flavoured rice, although I am still curious how the pork shabu would be like. But as it's opening night, the kitchen had to deal with 160 guests when the normal restaurant capacity is only about 30-40. I shall return when they have had more time to settle in. 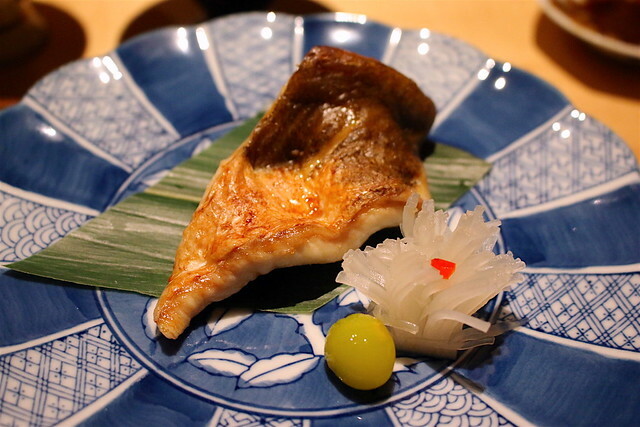 Yakimono - the grilled item was a fish. Looks like it's all seafood tonight! I love how the translucent pickled radish resembles a sea anemone, complete with a piece of hot red chili masquerading as clownfish. I don't know if that was intentional, but it sure fits the sea theme. 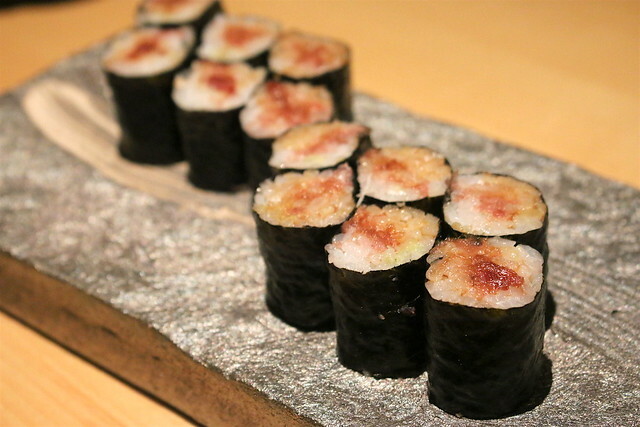 The 3 pieces of seasonal nigiri sushi was substituted with 3 pieces of negitoro rolls. I'd already had two pieces of these while they were circulating as canapes. Not bad, with finely minced tuna that's creamy and umami. Dessert was sweet and simple - persimmon and grapes that were so delicious. 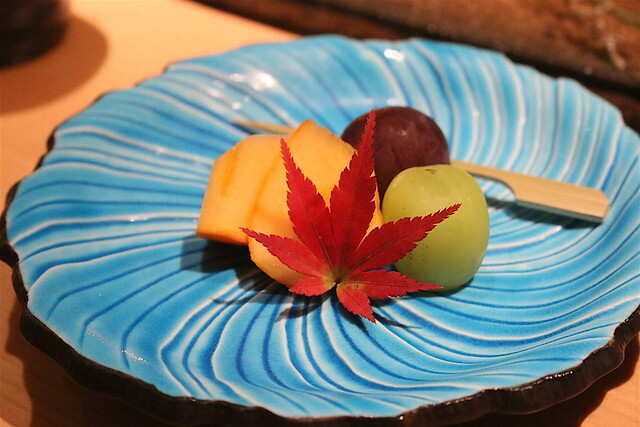 Sometimes there's nothing better than Japanese fruit to end a meal. They certainly do their sushi and sashimi well. The other items I shall have to come back and try - more oden, shabu and tempura perhaps. The lunch sets may be tweaked as they go, depending on the office crowd's response. 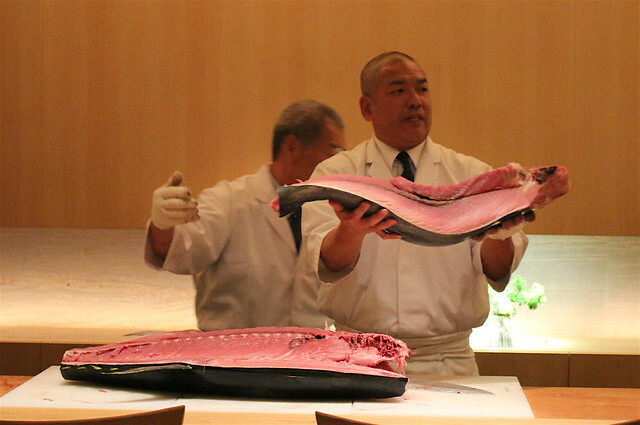 Chef Noshioka or Bob-san is very friendly and happy to explain items to you. 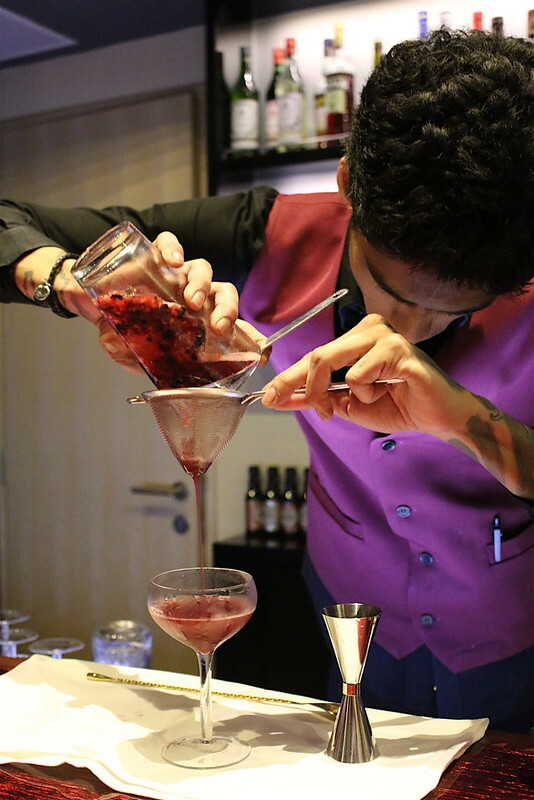 The bar manager Sherwin also has a wealth of knowledge on cocktails, so feel free to ask him for recommendations. 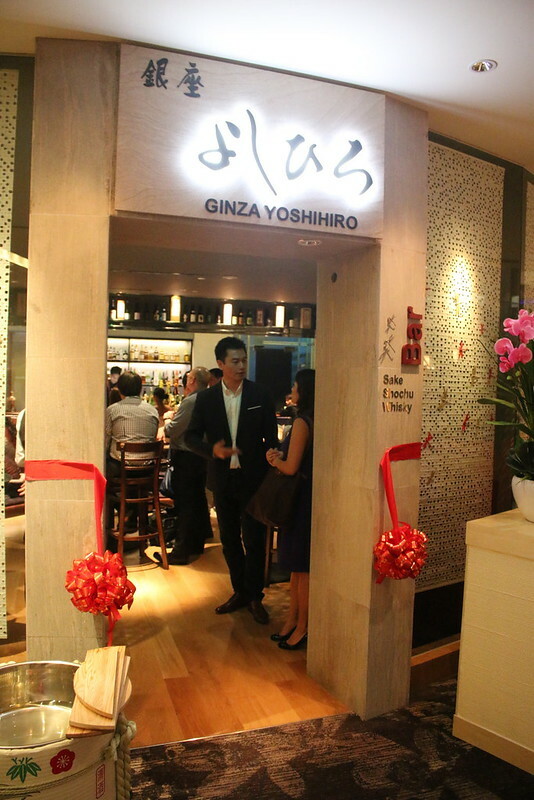 Many thanks to Ginza Yoshihiro's team for their hospitality. This post was brought to you by Ginza Yoshihiro.